Scion is celebrating its 10th anniversary and to commemorate this special occasion the car company is giving away a free album download. 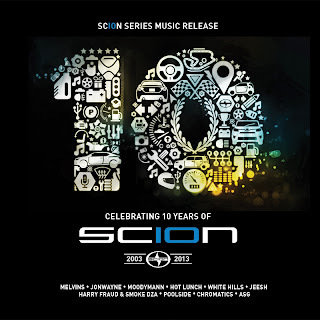 The anniversary album includes 10 (of course) tracks from "Scion sponsored artists" such as Chromatics, White Hills, Melvins, Poolside, and more. Stream a couple of tracks from the compilation below and grab your free album download from Soundcloud.